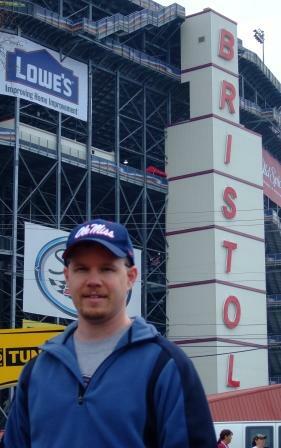 I’m currently under the grandstands at Bristol Motor Speedway. It’s been raining, so the last practice session was cut short. We sat underneath as a thunderstorm went by a few hours ago. The rain has stopped, and the jet dryers are currently on the track. If the rain holds off, they should be able to get the Nationwide Series race in a bit later. Because of the high banked track…and the fact that it’s only a half mile long, they should be able to accomplish the drying process in a couple of hours as long as the rain doesn’t come back. I’m going to post again with some pictures when we get back to the motor home tonight.